Welcome to my professional development with Information Technology. For more up to date information please refer to my online portfolio at folio.glenneaton.net. 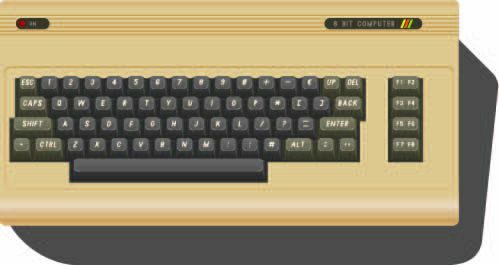 My interest in programming began with a Commodore 64 which were released in 1982; one came into my hands a year later at a cost of $500. It was a good way to learn programming in BASIC and 6510 machine code. The Commodore 64 ran at 4MHz (compared to over 3GHz per core) and 64kB (now 8GB) was considered to be a lot of RAM, after-all, it’s all they needed to put man into space. Modern programming is much more enjoyable and satisfying, long gone is the frustration encountered with using slow and unreliable machines. When the C64 first came out only a tape drive was available to store your programs onto cassette tape. Loading and saving programs was very slow. 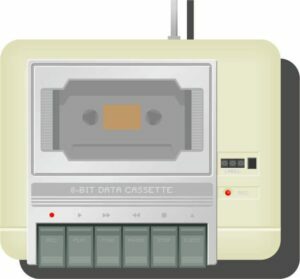 A C-15 tape would take 15 minutes to load and probably holds only 40kB of data. The famously slow Commodore 64 tape drive. 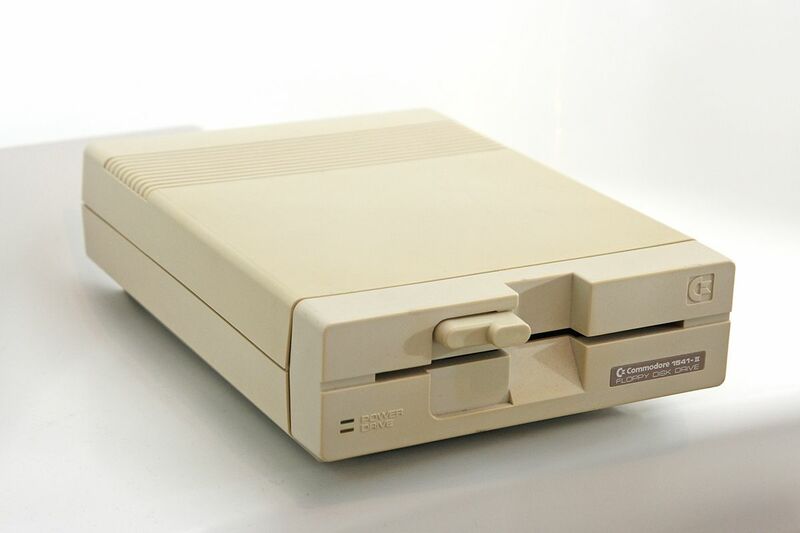 Later on I purchased a Commodore 1541 II disk drive, and it made using the Commodore 64 much easier to use. At over $300 (I think) it was not cheap but worth it. After buying a book about it the FDD (Floppy Disk Drive) it had its own 6510 CPU and could even be used to do data processing in parallel with the main CPU (in the keyboard). It was a strange device. To calibrate the read/write head it would push it hard against a stop several times causing a concerning knocking noise, every time a disk had to be formatted and some games did it to verify that the disk was legitimate. The Commodore 1541 II Floppy Disk Drive (FDD). My first exposure to data processing was with Traffic Engineering in Telstra (then called Telecom Australia). When I joined Traffic Engineering in 1987 the office computer was a “dumb” terminal connected to a large Honeywell mainframe computer. On this machine resided all of the software to process traffic dispersion (destination) statistics. The call traffic was processed by Csironet. The office had a remote punched card reader. Fortunately by the time I arrived it was only used to start printouts on the high speed printer. 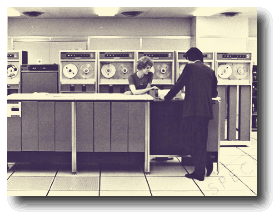 But one week I got the task of converting the old software stored on punched cards onto the hard disk. I got a taste of what it would have been like to program with punched cards. TEDAMS (Traffic Engineering Dispersion and Matric System) was a suite of programs written in Fortran 66 and Fortran 77. They were very hard to maintain due to the many GOTO’s which pointed to locations sometimes many lines and pages away in the code. To make things worse all but one of the original authors had left the company and were hard to track down. But after some trial and error necessary changes were made to keep the system running. I even managed to get Tasmania off SPRED (rival dispersion software) and merged in with the Victorian traffic office. 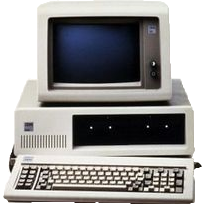 In the late 80’s the first IBM compatible machines arrived, a Lingo with two floppy drives and 640k of RAM (Bill Gates is quoted as saying 640K is more than enough for anybody!). Later Hewlett-Packard amazed us with a PC that had a huge 20MB hard disk with a 386 processor that could do multi-tasking! This new technology allowed me to automate the report writing part of dispersions with Clipper, a dBase III compiler. Later on this was moved to Foxpro. Around 1994 I left Traffic Engineering and programming for Network Investigations. Here I got some the chance to use a HP Unix machine. In 1996 I moved on to Data Production where some programming opportunities presented themselves and I took them up with relish. But the chances to do programming were limited. 1999 saw another move, this time into Data Design. Then in 2003 the many cutbacks that had been happening during the last ten years in Telstra finally caught up with me and I was retrenched that September. It was not a happy day, but in hindsight it would have been better to get out earlier and make a new start. Retrenchment was an opportunity to explore myself and find out what I am best at; to use a term in tennis, to find my sweet spot. I had been in Telstra/Telecom for some 22 years since I had left school and now this was the chance to try different things. Upon retrenchment I immediately began a truck driving course. This provided me with the means to earn income quickly in case money was needed to support my family. Truck driving is great fun, but due to the very long hours (10 to 12 hour days) it’s not very good for family life (the divorce rate is about 50%) and most of the jobs are a quite a distance from where I live. It was and still is a great back up. I was interested in trying out running my own business. In the middle of 2004 I decided to become a Foxtel installer. Around August 2004, after much preparation I began going around to houses installing and maintaining Foxtel. But I had broken one of the golden rules of owning your own business, “Never let one customer get too big”. 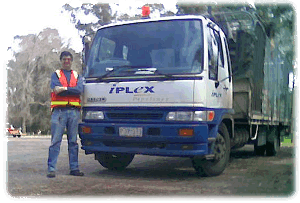 I was working as a sub contractor under Areva, who were in turn contracted to Foxtel. Foxtel was my only customer and they dictated the prices for everything. Run a vehicle (van), which needs fuel, servicing, registration and insurance. Have your own Pty Ltd company, costs almost $1000 to set up then $200 per year. Have public liability insurance, income protection and work cover. Own tools including a $2400 satellite signal meter and ladders. 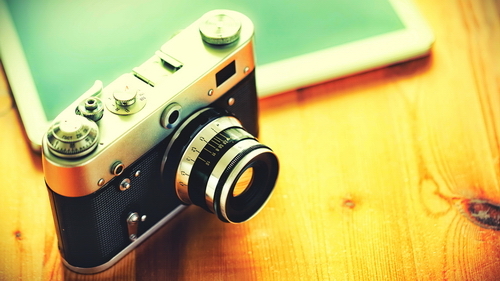 Almost one day in five is used to pay for your expenses. Foxtel set the prices to just high enough to keep sub contractors in business. Enough money comes in for a surplus so that you can pay yourself a modest wage. I estimate that I was making less than $15 per hour. It was an interesting experience. I gained experienced with basic book-keeping and managing stock. But the next business won’t be sub contracting! In 2006 after some job market research I became aware of a shortage of medical imaging personnel. I had considered doing this during HSC along with accounting and mechanical engineering. It was a short three year course at RMIT Bundoora. I got into my second choice, Radiation Therapy. Having done OK at Biology and quite well at Physics I passed first year. In second year I again did well at Physics but having lost half of the lectures for Pathology due to out placement at the Radiation Clinic I failed by four percentage points. This was very disappointing; but while learning how the body works was very interesting learning about how it can fail was not so good. A lecture on heart problems would make me feel strange. Not a good feeling. So after considering my options I decided to cease the course and go back to computing; where most of my natural skills lie. The course was not a waste of time. It taught me how to study and write. I scored 85% for a Psychology essay about the development of children, the highest I ever have achieved for an essay to date (I only just passed HSC English). Other highlights of the course were developing my online eportfolio and solving physics problems. After a long career in telecommunications and the many job changes after retrenchment it was time to return to what I enjoy and what I am best at, software development. To update my skills I completed the Advanced Diploma of IT (Software and Process Improvement). I am seeking a role where I can improve business processes and build creative user friendly websites and applications that will enhance the customer experience and generate better returns for my employer. I now have my own business, Rinet IT, created solely to professionally serve businesses with web and application development. My professional portfolio can be viewed here.